Guess who’s back, back again – Rosie’s back and my Goodness does it feel good!? Yes, it’s been a long old January and an unplanned blog break but the guilt has now subsided and the break was well needed. My passion and inspiration is back, I know where I want the look and feel of my channels to go and I am revamping and creating content all the time. It feels amazing. LoveRosiee in 2019 is going to go to new levels – and I can’t wait! When it came to planning what would be my first real post of 2019, it was a no brainer. 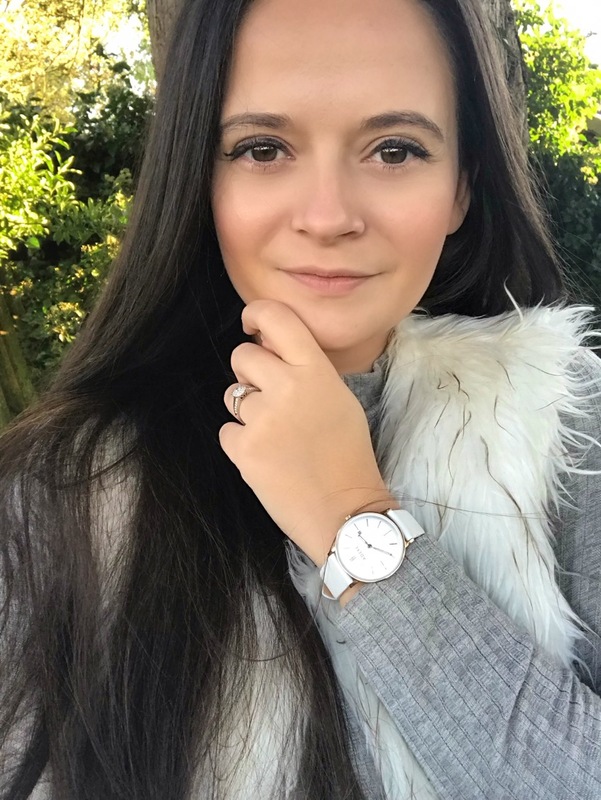 Late last year I worked with an incredible fashion brand and had some lovely feeback on my socials from all of the posts – so it’s time to bring it on over to the blog. Finally, here is my full outfit review of Cari’s Closet! If you’ve visited LoveRosiee before, you’ll know that you wont usually find me in front of the camera! I much prefer taking stylised and curated flatlay photos or beauty snaps; it’s rare to find me doing a fashion shot. Cari’s Closet are a brand that scream luxury, trend and comfort. When I was approached by them to do a cheeky feature, I had to take the plunge, be brave and pose my way through for results I am actually happy with! For me in Winter, comfort is key. I want to look as stylish as I can but also keep warm and hide all the Christmas weight! 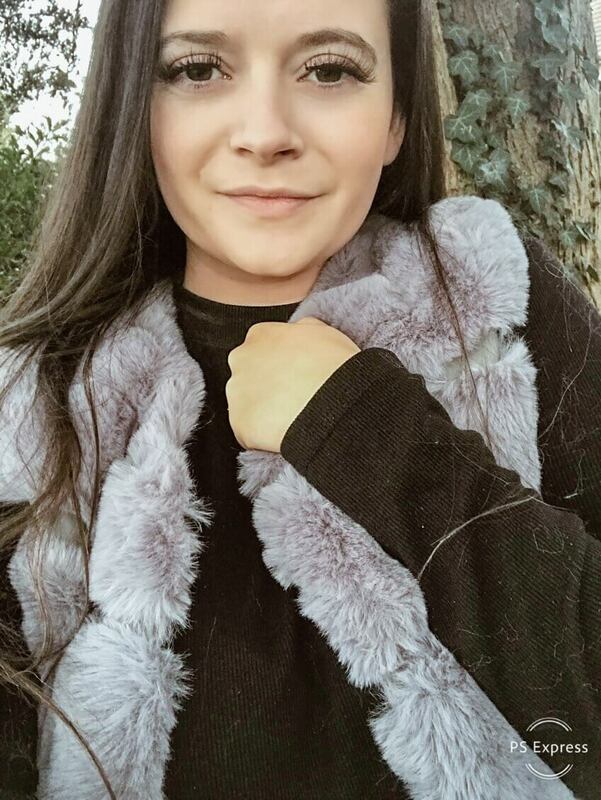 So, a gorgeous faux fur gilet that is a great full body length and HAS POCKETS was a massive winner for me! Winter can be tough on us, it’s freezing (it snowed last week in Windsor and I am just not here for it!) and I am just not a trousers girl. The only trousers I own are pyjama bottoms. I wear dresses or skirts everyday. 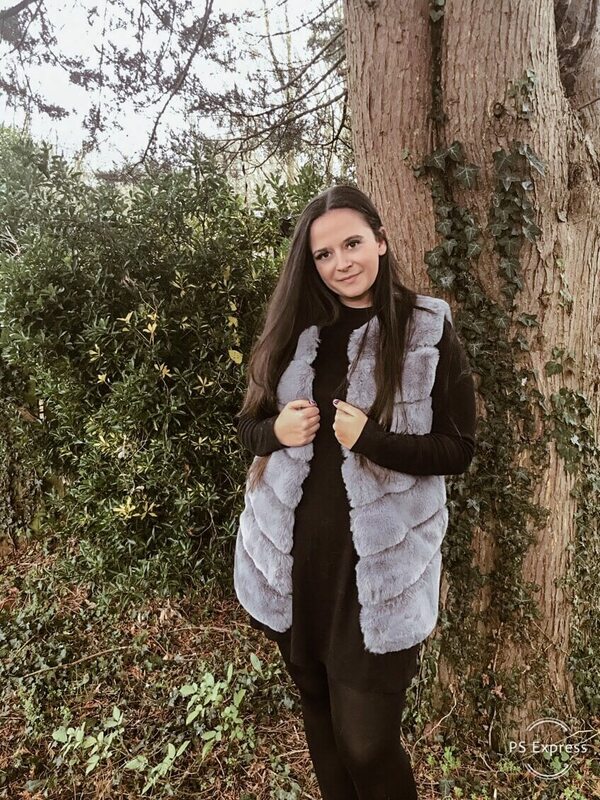 So finding a furry gilet that compliments my many black dresses or one that can be easily dressed up or down can be a hard task. 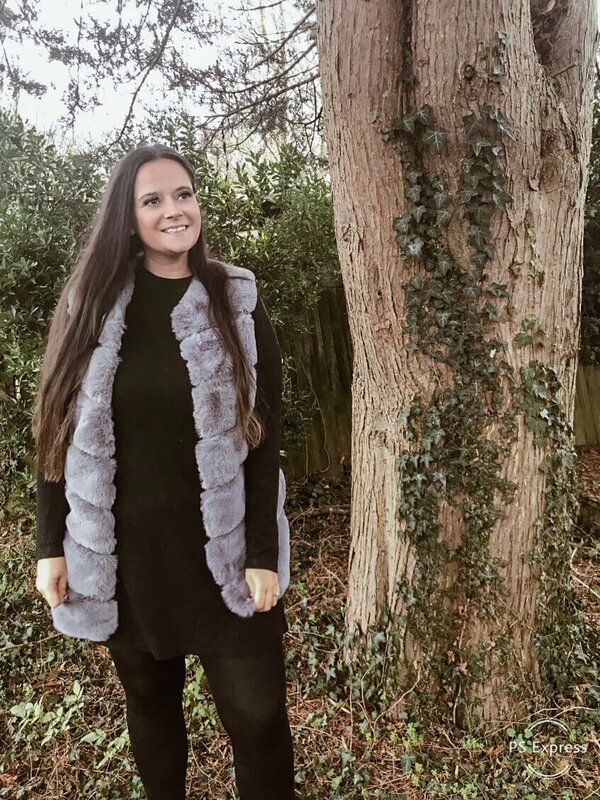 This gorgeously thick and warm grey faux fur gilet basically hasn’t come off of me since I put it on just before Christmas! It’s super comfy, warm and stylish. Everytime I wear it out people compliment me and I even give off the impression that I have my life together – all down to my outfit! Fashion for me, someone who considers themselves to be more of a beauty blogger, is a hard one. I am curvy, I am self conscious and I hate this cold season! Add to that the massive arsenal of fashion bloggers out there who smash it post after post after post. It’s a lot. But I am really proud to show off an item of clothing that I love from a brilliant brand who aren’t going to cost you and arm or a leg. And why not step out of my comfort zone every once in a while!? Fashion doesn’t have to be hard, it doesn’t have to be fast and it doesn’t have to be uncomfortable. I am a real woman, I am me and I am happy to endorse a brand that caters for ladies with curves and taste! Cari’s Closet certainly are that. 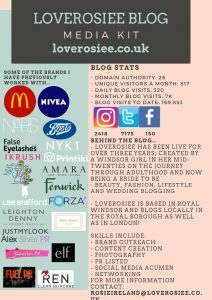 If you spend just a couple of minutes on their site, you’ll end up falling down a rabbit hole of fashion love, gorgeous snaps and goals! 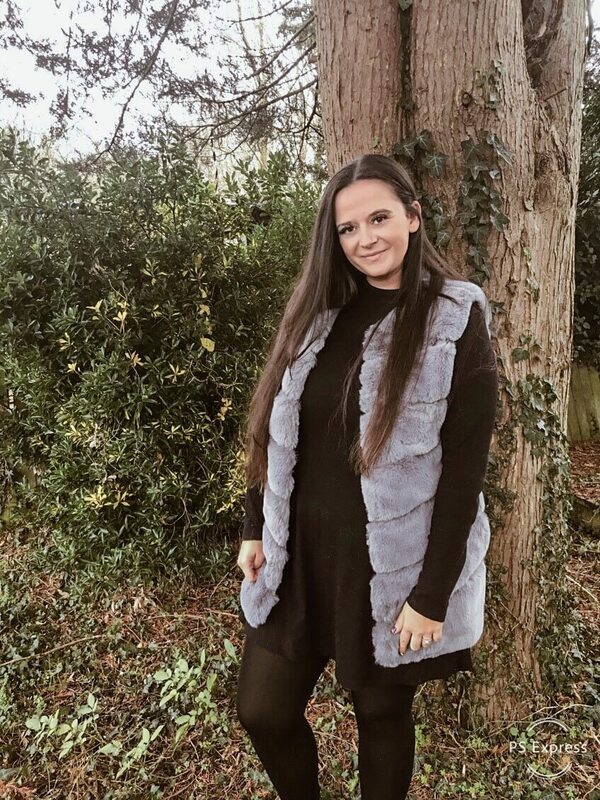 You can get your hands on this gorgeous faux fur gilet and so many on-point fashion bits from Cari’s Closet by shopping this link: https://www.cariscloset.ie/ You wont regret it! Happy Winter shopping, bring on Spring and more confidence in front of the camera!